For the best garage door repair service in Friendswood, Texas, partner up with our company. When you work with us, you simply have peace of mind that your requested job will be done on time and with accuracy. At Garage Door Repair Friendswood, we have everything under control since each tech from our team is fully qualified, insured, and trained. We have the confidence you need to see in pros when they fix your tracks, replace your torsion spring, or install the new door. And we can do any service for you. From installing and repairing garage doors to maintaining the opener and replacing the clicker urgently, count on our skills. There are expert garage door service technicians on our team. So, each job is completed with attention to detail. Not only do we respond quickly to cover your repair needs but will also take care of any problem right. When we install new doors, we make sure all parts are fitted well, the reverse system works at its best, the door opens and closes all the way, and its movement is smooth. All installers at our Friendswood Garage Door Repair are committed techs. 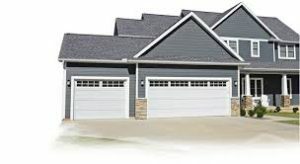 Offer same day garage door opener repair and do any work required to ensure the problem is fixed and the door is safe. Fix any problem with any part and replace the worn components right away. Have all necessary parts in our trucks. Replace the broken garage door springs the same day you call. Expect the best service in a timely fashion from our team. When you work with our company, the service is always excellent. We aim at serving your needs and will be glad to help you with any issue. Contact us today.